The 1934 Tour of Japan is the most well-known of all the tours, as it was graced by the presence of Babe Ruth, Lou Gehrig, Jimmie Foxx, Lefty Gomez, Charlie Gehringer, Lefty O'Doul, Moe Berg and others. 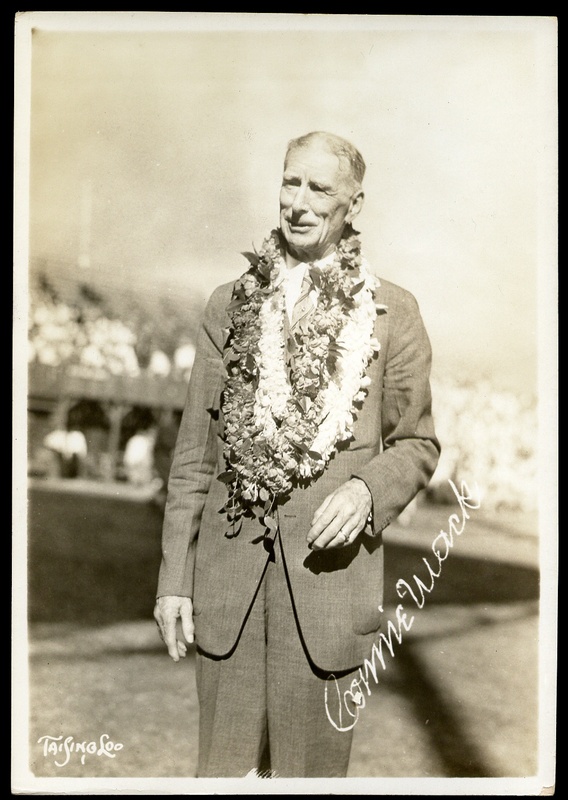 This time, the tour was led by Connie Mack and not Herb Hunter. 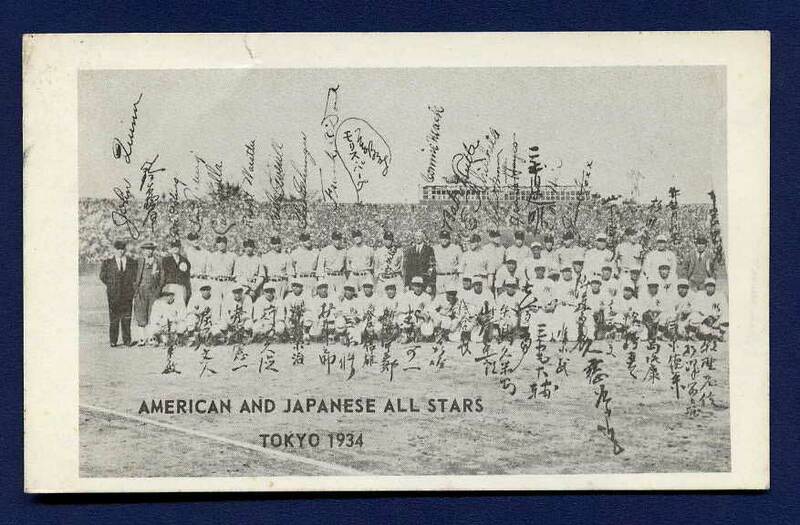 This postcard spotlights the American and Japanese All Stars on the field in Tokyo. All the players have signed the original image that was used to make this postcard. 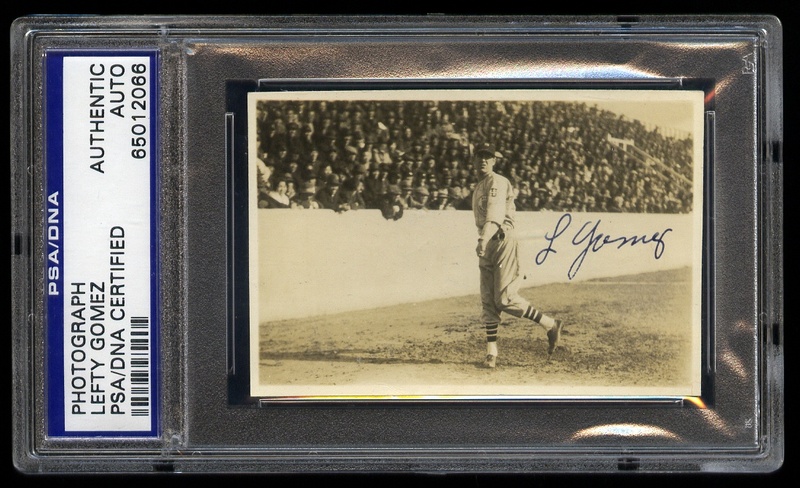 Note that Moe Berg has signed in both Kanji and English. Berg spent his time in Japan playing baseball and secretly shooting films of Tokyo that later were used by the Allies in World War II. The biggest draw of this tour was Babe Ruth, who was unable to attend the 1931 tour because he was shooting a movie. 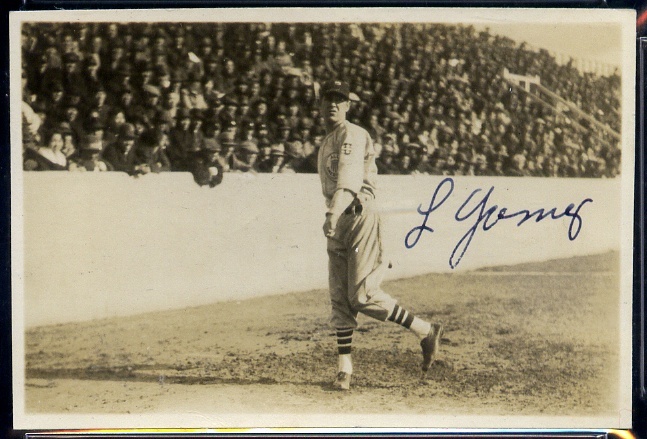 This autographed photo of future Hall of Famer Lefty Gomez originates from the collection of Mitsuhiko Fujita, grandson of a famous Japanese businessman, Baron Denzaburo Fujita. Mitsuhiko, who grew up watching and playing baseball in Kobe, would take his camera to the ballpark and the return the next day with the photos to be signed by the American and Japanese baseball stars. He took pictures at several tours of Japan during this time period. In 1934 he even received pitching lessons from pitcher Earl Whitehill, a member of the American All Star team. This photo of manager Connie Mack was taken when the All Star team stopped in Honolulu in October at the start of the Tour of Japan and Asia. The team played one game on October 25th, defeating the Hawaii All-Stars. This image was taken by Tai Sing Loo, who was a U.S. Navy official photographer, known for taking images of battleships and recreational VIP visits. He even took photos of Pearl Harbor before and after its infamous bombing.